On the night Jesus was arrested, He shared a special meal with His disciples. It was the annual Passover meal. 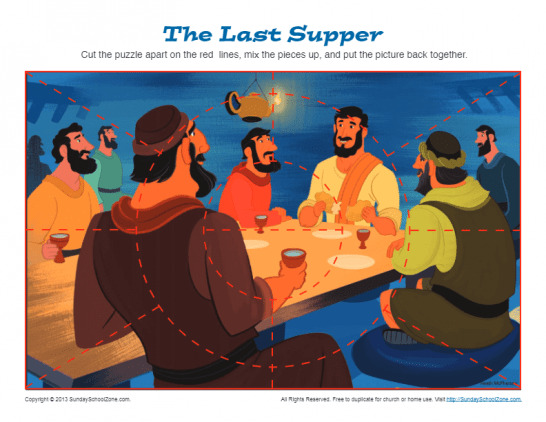 That Passover meal became the last supper Jesus had with His disciples before His crucifixion and the first "Lord's supper." Many Christians and churches today remember and celebrate this event with Maundy Thursday services. The activities below are related to the events of Jesus' last supper with His disciples prior to His crucifixion. 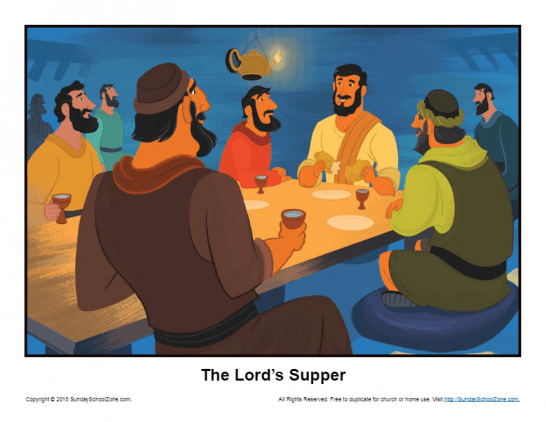 The Lord’s Supper is a significant event in the life of Jesus, and an important milestone in His journey to the cross. This story illustration will help children understand the events which took place that night and why we remember the event. On the night Jesus was arrested, He shared a special meal with His disciples. That meal—the last supper—is the theme of this usable craft. It’s a fun activity that reinforces the truth and significance of what happened on the evening before Jesus was crucified. 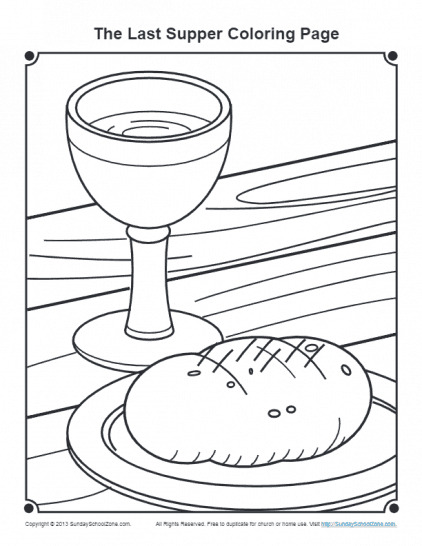 This free, printable color page, based on John 13–17, will help children learn that Jesus loves his followers. 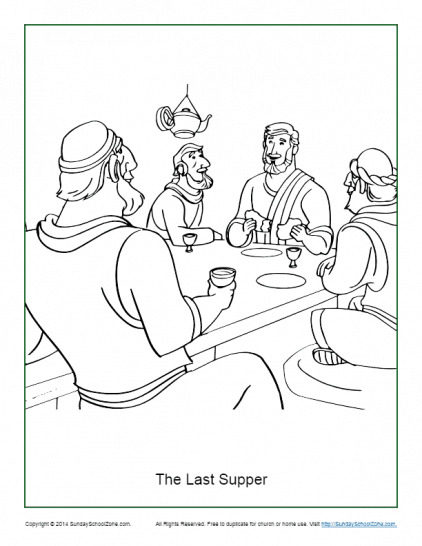 It depicts Jesus at the Last Supper and can be used in a homeschool setting, one-on-one, or in a classroom setting like Sunday School. Easter is a joyous occasion, but it is a sad one as well. Jesus rose from the dead, but He died on the cross as an innocent man. Not many hours before He was crucified, Jesus shared the Passover meal with His disciples. It became the first Lord’s Supper. Who among your children can make the most matches in this match game? 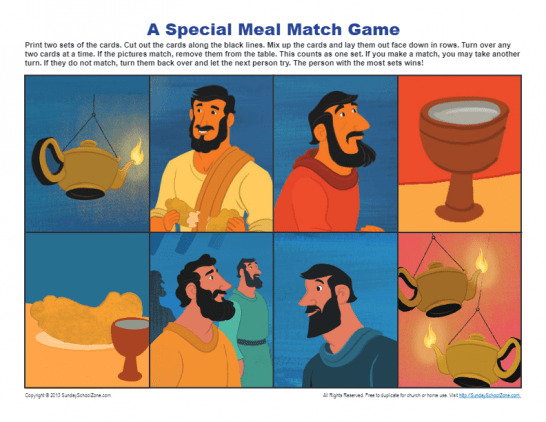 The game is fun, but it also will give you a chance to talk to your children about the special Passover meal Jesus shared with His disciples before He was crucified. Spot the differences! 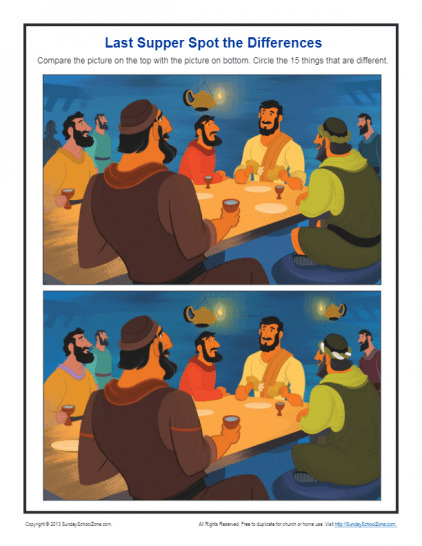 This is a fun activity that shows two images of Jesus and the disciples sharing a special meal together on the night of Jesus’ arrest. 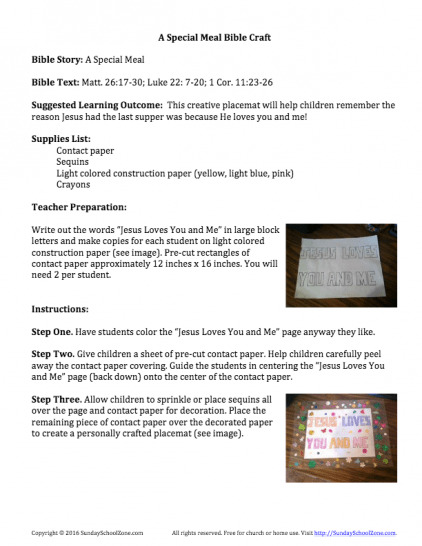 As your children have fun with this activity, you can talk to them about Jesus’ love for all of us! 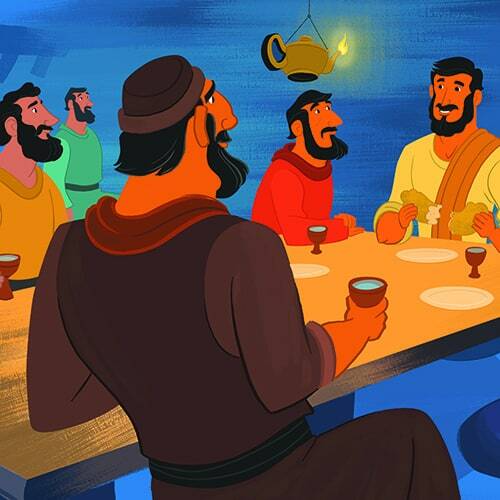 On the night Jesus was arrested, He shared a special meal with His disciples. 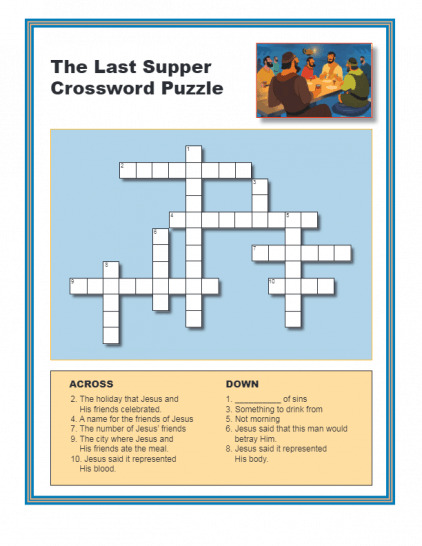 That meal—the last supper—is the theme of this puzzle. It’s a fun activity that reinforces the truth and significance of what happened on the evening before Jesus was crucified. The elements of the last supper represented Jesus’ blood and body, so they remind us of Jesus’ sacrifice for sinners when He died on the cross. As your children color this picture, remind them that Jesus died for us, and that on Easter He came back to life!